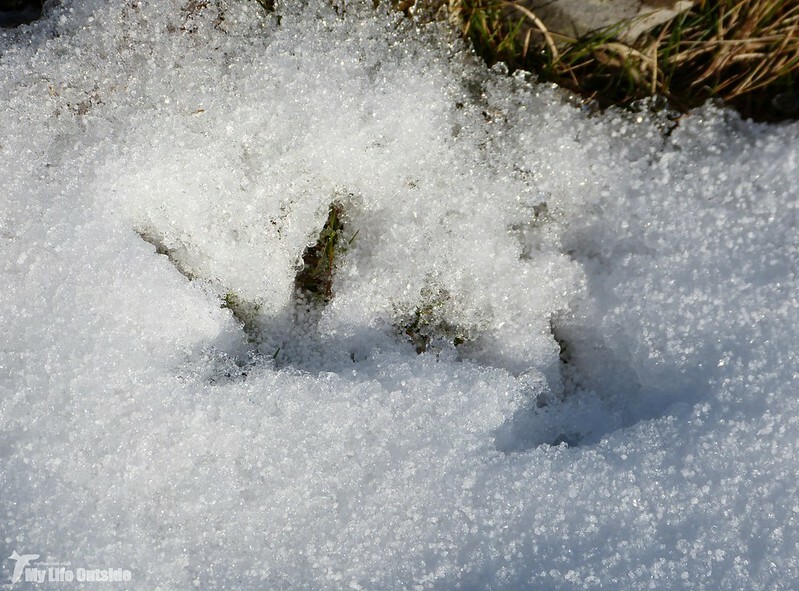 If you watched this weeks Winterwatch then Chris Packham's film on the joys of looking for animal and bird prints in snow may have roused your interest. It certainly did mine as this is already something we do on a regular basis, or at least as regular as can be given this countries inability to deposit much of the white stuff. Just last week our walk along the Cribarth ridge provided a perfect opportunity for a little tracking with numerous Rabbit trails criss-crossing the landscape. The strange thing is I don't recall having ever seen any Rabbits in the flesh up here which just goes to show what can be revealed about our landscape with the addition of a little snow. Also present were a series of large bird prints, most likely Raven given their size and relative abundance of the species locally. 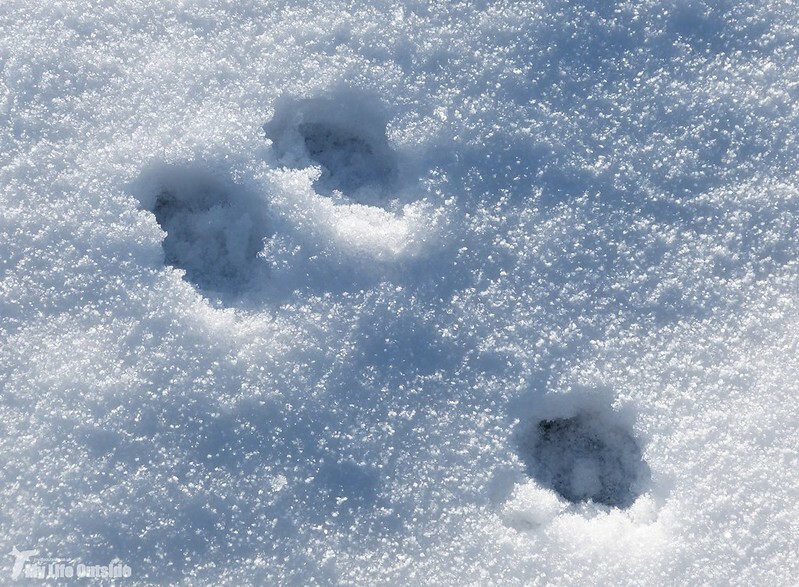 Back at the start of 2013 another snowfall revealed the intriguing discovery of Rabbit prints overlaid with that of a Fox. Now the story there didn't take much of a detective to figure out but we couldn't find anything similarly unusual this time. 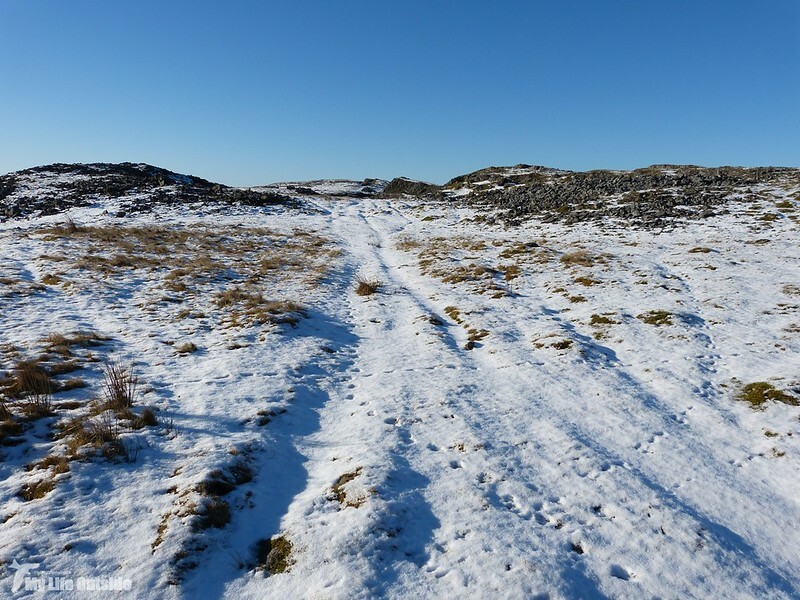 The lack of mammal prints however may explain the number of Rabbits seemingly living up here though altitude is no guarantee of safety as I have seen a Fox in the Brecon Beacons higher than this before. Great tracks and weather - I miss days like this; I need to make a bigger effort to get up to the snow this winter. The Tor is always a great place to go - and in the winter the bird life on The Levels is great. PS: work has settled down, school and summer holidays just about over, normal device will now be resumed! I can't get enough of the snow, we just get so little of it these days. Last week, I was looking at rabbit and badger tracks. I never thought to photograph them. It's a grand idea. Highly recommend it Adrian. Great fun. Great idea!! Here we have very sandy soil so tracking is easy everyday...I see deer track daily,wild turkey, and in summer snake tracks which is a S impression as it creeps along the ground. We get very little snow but I always enjoy going out in the snow. Now snake tracks are something we don't get a lot of out here but I'd love to see some.